Breaking News – Sometimes You Just Need To Buy New Carpet! 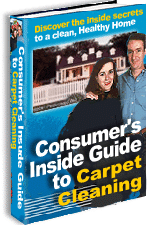 Is your carpet stained, worn, faded – beyond repair? Has the time finally come to replace your old carpet with new? If so, then let us help you choose the best carpet for your budget and make sure it’s installed properly for your home or business. Helping You Decide When It’s The Right Time To Buy New Carpet? After cleaning carpets for over 40 years, we can tell when a good cleaning won’t help an old, worn down carpet. That’s why you can depend on us to help you decide it’s the right time to buy new carpet. You don’t want to pick just any carpet. 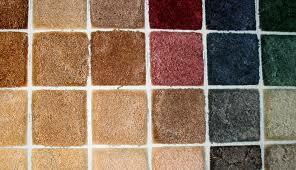 You need to find carpet that has the right balance of durability and beauty. Choose right and it’s an investment that will last for a decade. Choose wrong and you’ll be spending thousands again in just a few short years. What carpet will hold up to heavy foot traffic at my business? What’s a good plush carpet for my home but is durable enough to withstand my kids? What commercial grade carpet is best for my apartments or student housing? Why is Berber carpet so expensive? What’s a good price for carpet? There’s never an obligation to buy and with over 40 years experience with handling carpets we hope to help you make an educated choice to pick a carpet that will last for years to come. Buying new carpet is more than picking the cheapest. Likewise, having carpet installed correctly is just as important as picking the right one. That’s why we only work with expert carpet installers who will make sure your new carpet is installed properly. We take full responsibility to make sure the carpet installers don’t cut any corners and use installation techniques of the highest standards. You can have peace of mind knowing your carpet you painstakingly chose will be installed professionally and cleanly. How do you make your newly purchased carpet last longer? Work with a professional carpet cleaning company like us of course. We know all about the different types of carpets and their maintenance issues and can help you extend the life of your carpet. Did you know most carpet warranties stipulate that in order to remain in effect, you MUST have your carpets cleaned by professional carpet cleaners at least every 18 months? Don’t buy expensive carpet for the wrong need. Let us help you choose the right carpet for your specific need at a great price.